South Burnett CTC Inc (CTC) was established in September 1983 and began life as a grass-roots community response to addressing the high levels of youth unemployment and over the years we've expanded and diversified our operations in accordance with the needs of the community. Today CTC is a multi-faceted, community owned, not-for-profit organisation (incorporated under the Associations Incorporation Act 1981) that continues to address the needs of disadvantaged people throughout the South Burnett and into our neighbouring communities across a wide range of programs. 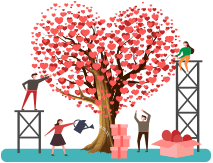 CTC has as its main objective the direct relief of poverty, suffering, distress, misfortune, disability and helplessness in our community and this is strongly supported by our organisational Vision and Mission statements. CTC is a genuinely local organisation and operates purely for the good of our communities and while we have recently diversified in accordance with our vision and mission, the organisation has maintained a very strong focus on our clients and our values and has never wavered from providing a friendly, open environment in which all stakeholders can feel valued and respected. 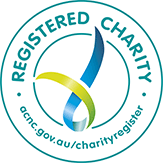 South Burnett CTC is a registered charity with The Australian Charities and Not-for-profits Commission (ACNC). There are many ways to donate to South Burnett CTC - Financially (tax deductible), by Volunteering your time or by Advocating for our organisation.